Specialty Fine Food: Pastas, Olive Oils, Balsamics, Mustards, Olives, Purees, FIne Meats, Truffle Products & More! Food Deli & Coffee Bar Serving Fresh Housemade Dishes & Baked Goods. Interested in joining a hands-on cooking class or hosting your next event at Surfas? 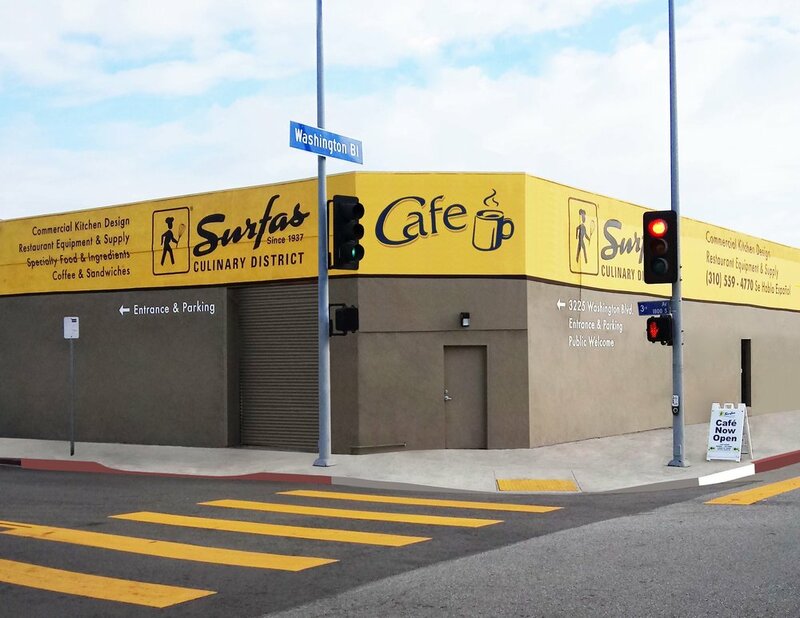 What to expect: Food Deli and Coffee Bar Serving Fresh House made Dishes, Healthy grab and go meals, a great variety of beverages, Baked Goods, and more! Visitors may also enjoy our Unique Cheese and Charcuterie Service Counter. For in-store use only... 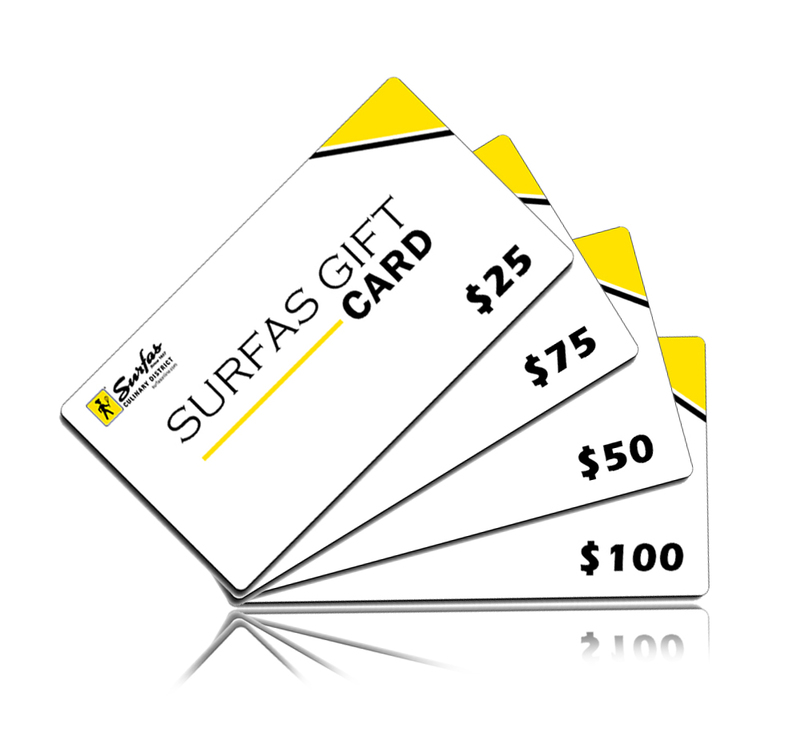 When purchasing this Surfas Culinary District Gift card you'll instantly receive a confirmation email regarding your purchase. Gift cards are physically mailed out with an expected arrival of 3 - 5 business days.